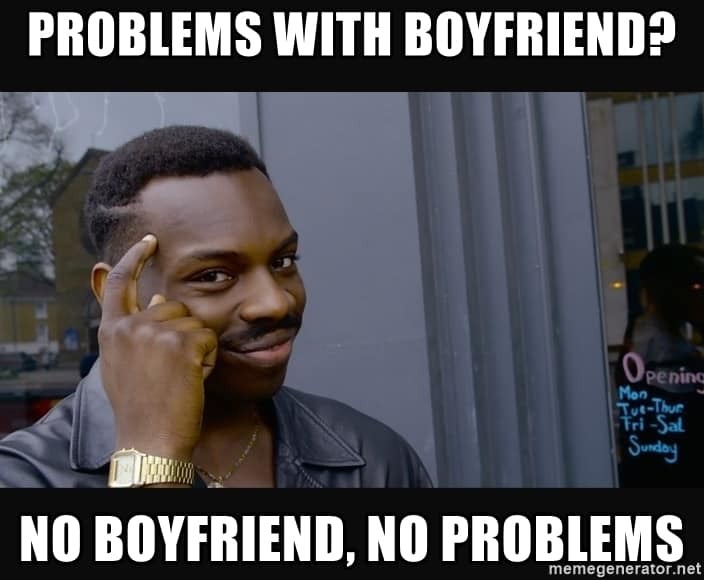 If you are female, as soon as you turn 13 people start asking if you have a boyfriend. It might be your inquisitive aunt Bertha, who is just plain nosy, or it could be someone trying to make casual conversation with you. 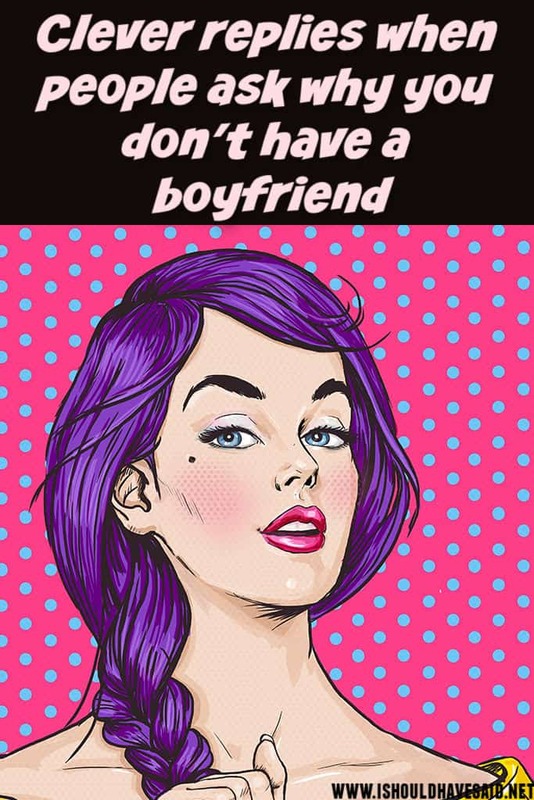 Being asked if you have a boyfriend is not really a big deal but can become a bit much if you have been single for a while and people keep asking why. It feels as if you are being judged for your relationship status when you are so much more than whether or not you are seeing someone. 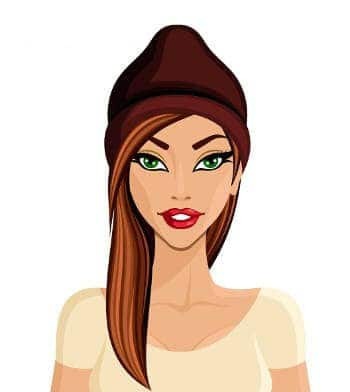 The reality is you have the rest of your life to find a boyfriend, why not spend some time getting to know yourself? Have fun and enjoy the ultimate freedom and being able to do whatever you damn well, please. The media makes it look like happiness is being in a relationship, that’s not necessarily the case if it was some people wouldn’t have been married 5 times! Next time someone wants to know if you have a boyfriend, use one of our clever comebacks and they will stop asking. I'm waiting for your son to turn 18. My boyfriend is awaiting his parole. I think my prince charming just took a wrong turn, got lost, and is too stubborn to ask for directions. Why should I settle for just one? When I do you will be the first to know. I’d say that single doesn’t always mean lonely. A relationship doesn’t always mean your happy.